Rafters making their way downstream in the Downriver Race. Age and experience fared better than youth and vigor at this year’s R4 World Rafting Championships Nov 4-10 in the Lake District of Patagonia, Argentina, as both the U.S. Men and Women’s Masters teams reached the podium, with the women becoming the new Master’s World Champions. 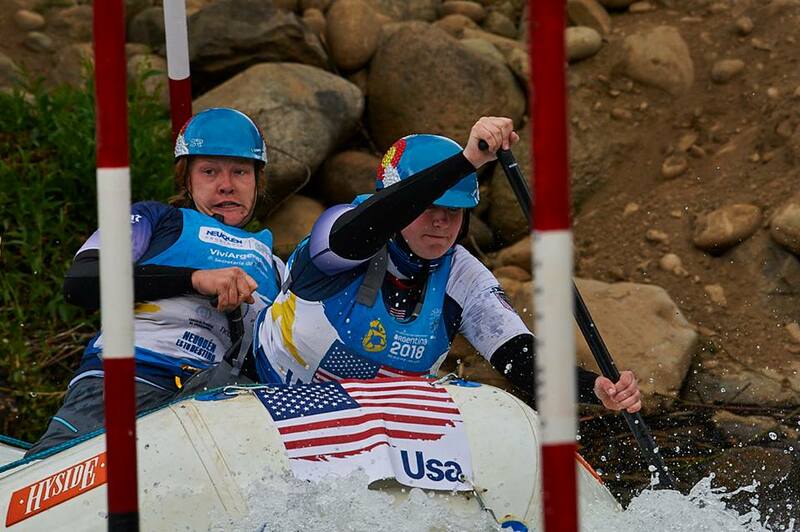 For the younger U.S. squads in the Open division, it was more turbulent sailing, with a fifth-place showing for the U.S. Women and 15th for the U.S. Men. The U.S. WOmen’s team scouting their line. 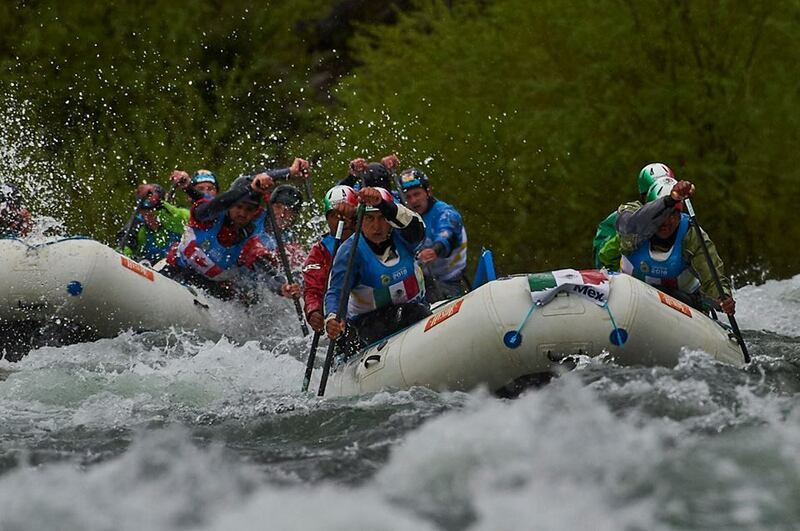 Held on the Aluminé and Ruca Choroy rivers outside Villa Pehuenia, Patagonia, the event tested the world’s bet four-person teams with rafting categories for Open, Masters, Under 19 and Under 23. With the U.S. Open Men unable to make their roster from their usual R6 team due to scheduling conflicts, they could never crack the top ten in any of the events. But they still relished the Argentina racing scene. The U.S. women’s team held fast throughout, taking fifth overall. In the Sprint event, the Men placed 13th, with Brazil, Japan and the Czech Republic taking top three spots. The U.S. Women, meanwhile, took fifth at 101:42, behind Russia, Great Britain, Japan and Czech. The Head to Head race featured a new format, but it wasn’t enough to help the U.S. Men advance beyond the first round against Chile. The U.S. Women dodging a gate in the Slalom event. Japan showed its power by edging out Czech Republic to win it all. In keeping with their Sprint result, the U.S. Women again took fifth behind Great Britain and Japan. 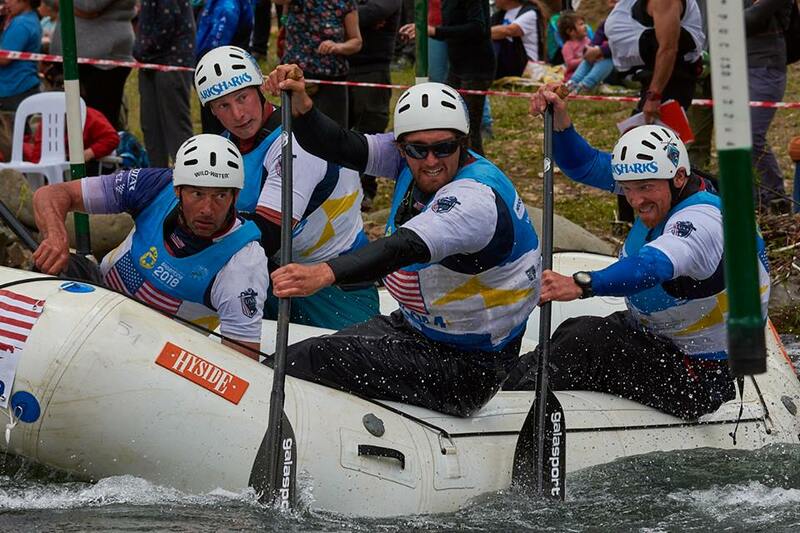 The trend continued in the Slalom event, the Men unable to advance past the 13th spot, behind Czech Repubic, Japan and Brazil taking top three spots. The U.S. Women fared better at 8th, but still off the podium, with Czech taking the crown. Finally, in the last day’s Downriver race, with a light snow blanketing the surrounding mountains, the dye was cast for the final results. 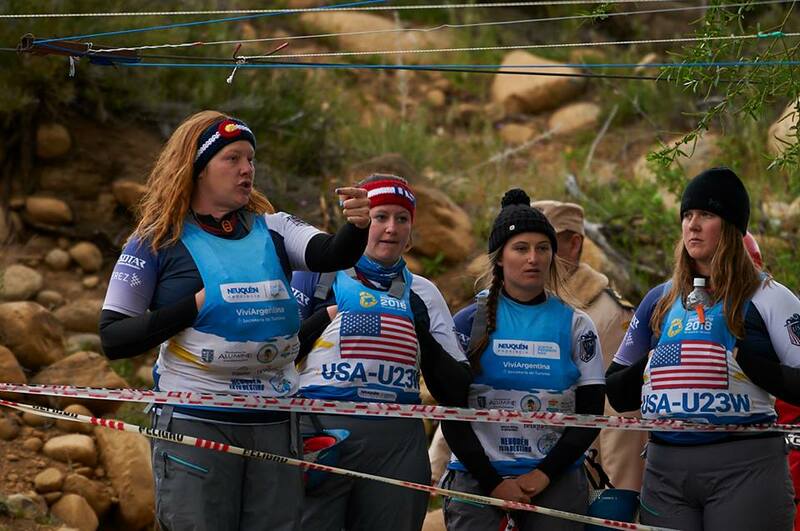 The U.S. Masters Women team, which last raced at the WRC on Chile’s Futaleufu in 2000, clinched the win to take the top Women’s Masters spot overall. The U.S. Men’s Open squad finished 13th, behind Brazil, Czech and host Argentina. The women finished fifth again behind Japan, Czech and Great Britain. When all was said and done, the final awards ceremony crowned Czech, Brazil, Japan in the top three overall spots for the men, with the U.S. Men settling for a disappointing 15th, with the Women leaving in a fifth-place showing behind Czech, Japan and Great Britain. In the Master’s division, lead by Matt Norfleet and Kurt Kincel the Men’s team notched a third-place showing in sprint, and second in Downriver, enough for fourth-place overall. Overall, the event belonged to the Czech teams, whose Open Men halted Brazil’s seven-year World Champion streak; all of their other teams medalled as well. Czech is the new World Champions in the Open Men’s and Women’s categories, as well as U23 Men, and Masters Men. They also took Bronze in U19 Men, Silver in U19 Women and silver in U23 Women. The U.S. Men’s Open Team, avoiding a gate. In U19, Argentina is the new World Champions in Men’s and Women’s. And Russia is the new World Champions in U23 Women.